Today we’re going to show you how to brew ginger beer in a bucket. We’ve shown you the basics of brewing beer here, but it’s time for something slightly more complicated. 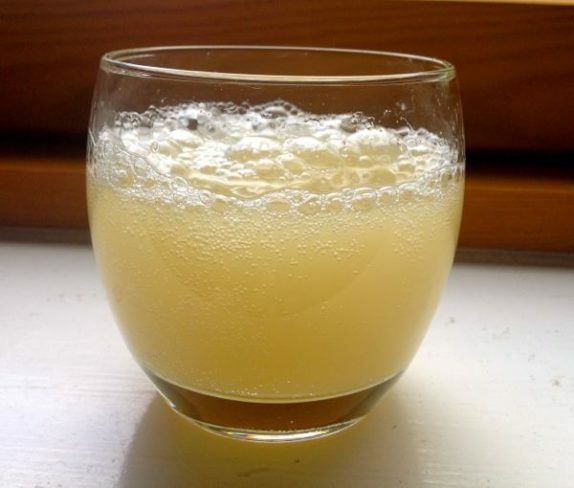 Making your own ginger beer is well worth the effort, but if you don’t have time, there are a variety of delicious brands you can order online. You start out by adding everything together. After you have mixed all the ingredients like you see in the picture above, it’s time to add the water. It will take a bit of stirring to get all ingredients to dissolve. Don’t use warm water in an effort to get it to dissolve faster, as the yeast is sensitive to high temperatures. Step two is simple: You will have to wait for the yeast to do its work. Twelve hours of patience should be sufficient to achieve the desired result. 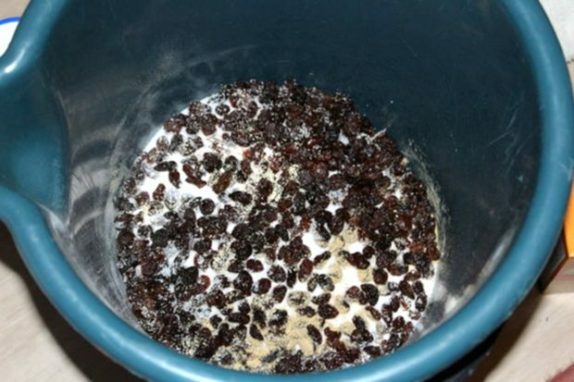 You will see a foamy layer on top of the mixture, along with floating raisins. Now it’s time to sift our brew. We will need our cloth for this. Place the cloth over the bucket and slowly pour the mixture into the second bucket. You’ll be left with the solids in your first bucket and a clean brew in the second. Be careful with this, don’t spill your brew. Now you just need to pour the liquid into bottles, using a funnel. Those bottles can then be stored in a fridge, to cool down your ginger beer. 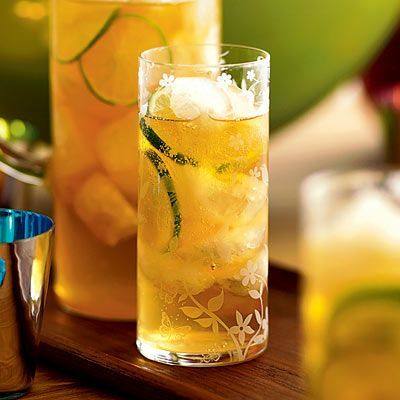 When you serve the ginger beer, you can serve it pure, or you can make a cocktail! Add one part rum to two parts of ginger beer. Take a slice of lemon, squeeze a few drops into the glass, place the slice of lemon on the glass, then finish your cocktail off with some ice. Your friends will be impressed when you tell them you brewed the ginger beer yourself. What to do with the leftover material? When you serve the ginger beer, you could add back a few raisins from your other bucket. 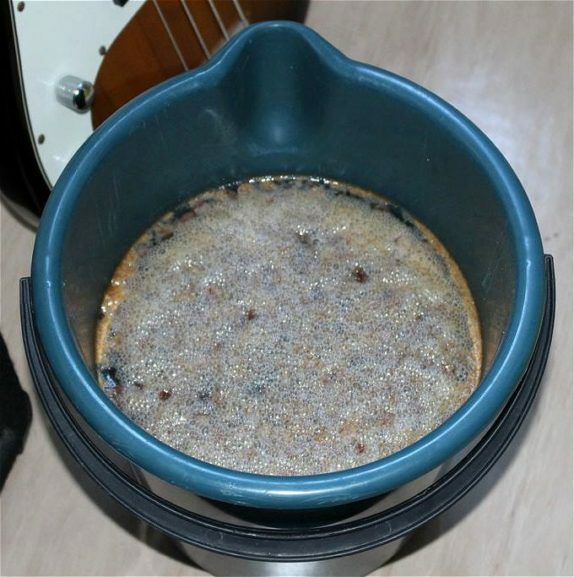 The leftovers from your other bucket can also be stored and used when brewing more ginger beer. You could also use the material when baking a raisin cake. Most of the alcohol left will evaporate and leave an aromatic taste. Reminds me of a Russian ‘home brew’ called kvass. Make sure your buckets are as clean as possible. Fill them with water and add a little bleach and let it sit for about 30min. Then make your ginger beer or whatever home-brew you choose. Use filtered or distilled H2O for your brew…that way you won’t pick up any ‘chemical’ or other tastes from your home tap water. Experiment and enjoy…responsibly of course. With sugar and yeast…what is the alcohol content 12 hours later?